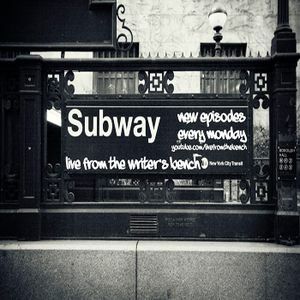 The Live From the Writer&apos;s Bench team sits down to chop it up with Andres who&apos;s a born and bred West Coast hip hop head to get his take on who put the West Coast on the map, who&apos;s the godfather of west coast hip hop and if Kendrick&apos;s "Control" verse did set off another east coast/west coast war, why he thinks the west coast would win easily this go &apos;round. Live From the Writer&apos;s Bench is a roundtable pollying session on the culture of hip hop. This show ain&apos;t about what your son or nephew and their crew is listening to...but it&apos;s about what YOU grew up listening to! Every Monday, Ev, Kil, Beezo and Vic will be your hip hop CNN chopping it up about everything from why hip hop doesn&apos;t speak to the violence that&apos;s plaguing our communities across the nation to who rounds out our top 20 MC&apos;s EVER list and everything in between.